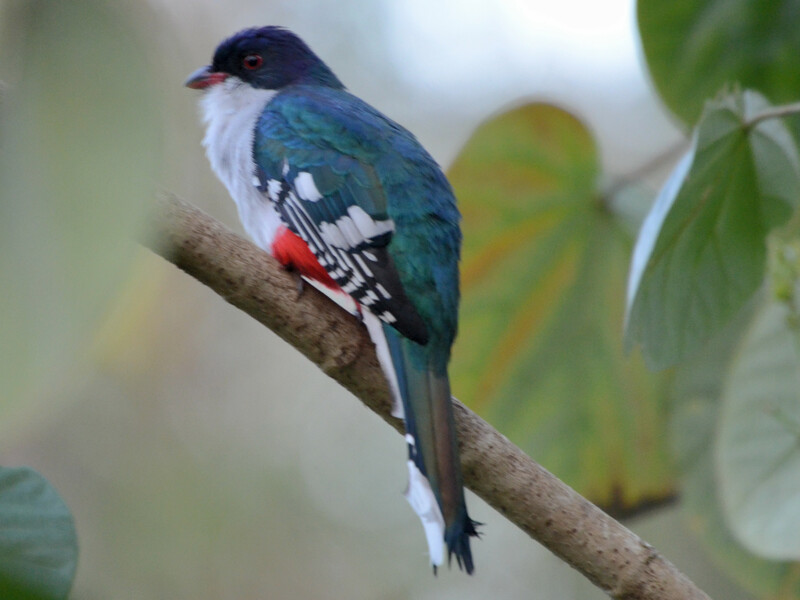 Trogon temnurus Temminck, 1825, Cuba. Two subspecies. 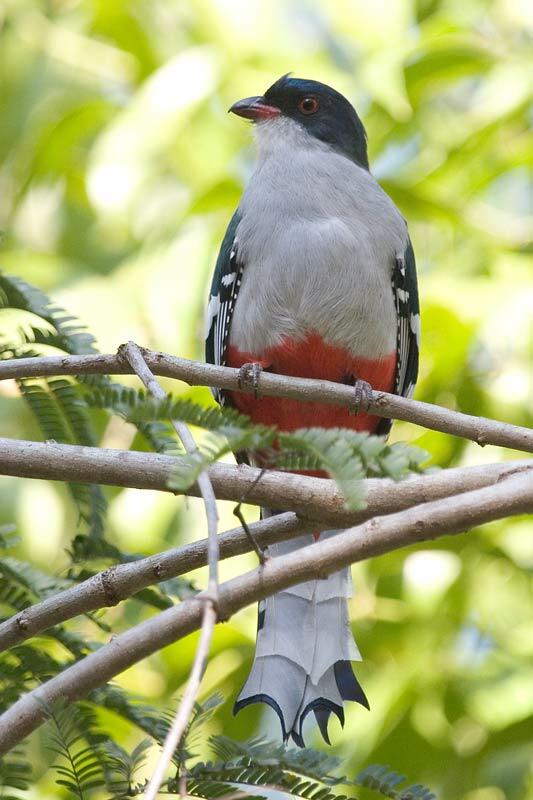 English: Isle of Pines trogon; French: Trogon de Cuba; German: Kubatrogon; Spanish: Trogуn Tocororo, Guatini. 9.1–9.8 in (23–25 cm), 1.8–2.1 oz (53–60 g). 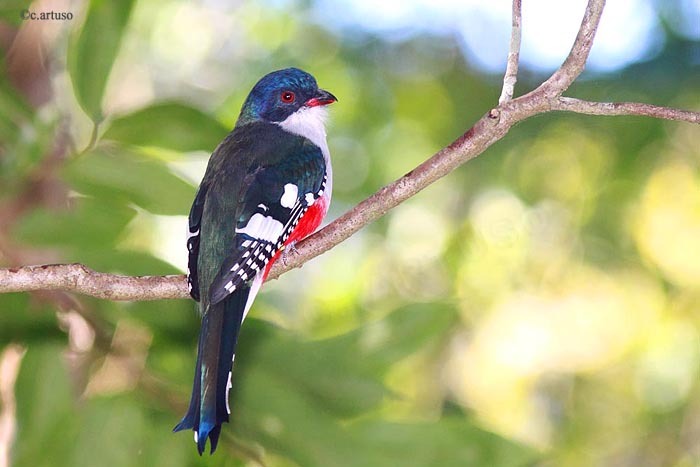 Blue crown and nape, blackish face, grayish white chin, throat, and breast, red belly, upperparts iridescent bronze-green with white spots on coverts and primaries, green-blue uppertail, distinctive scalloped retrices. Wet and dry tropical forests, both evergreen and deciduous, as well as pine forests and secondary forests. 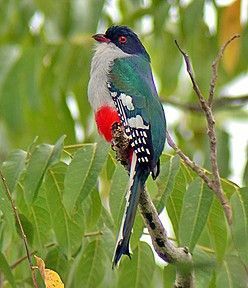 Hovers to feed on flowers with tongue split at tip, also insects, fruits. 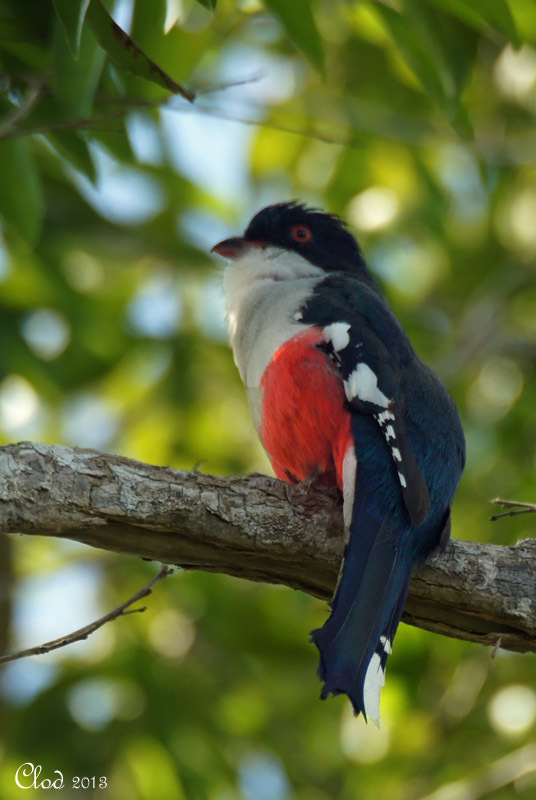 Breeds May through August; nests in natural cavity or abandoned woodpecker hole; lays three or four eggs. No information on brood rearing.